Full selection of durable and disposable face masks for parties, events and favors. Shiny Domino Metallic Half Masks are the perfect accent to your Halloween, Mardi Gras, masquerade or dress up costume. Beautiful Domino style half masks available in various colors and styles including glitter, metallic, flower and feather accented. These lightweight disposable mask have attached elastic for a comfortable custom fit. 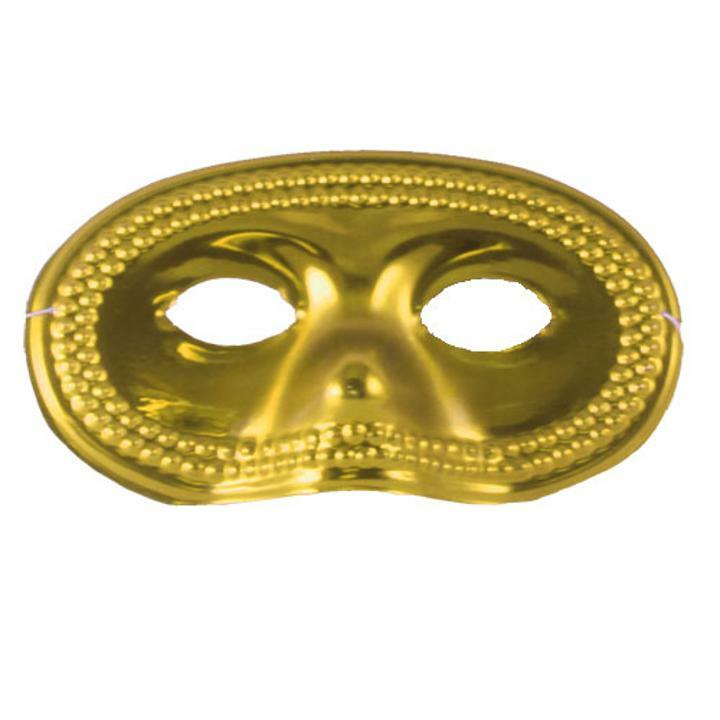 Glitter masks are perfect for Masquerades, New Years and Dance Parties. One size fits most. Each package contains 12 masks making this a great value! For a wilder look checkout our Animal print masks in leopard, and cheetah. Our full selection of masks includes reusable and disposable half masks, feather masks and butterfly masks. L: 6.5 in. W: 3.5 in. H: 1.5 in.